Buyer's agents are busy, they see a lot of different homes and, quite frankly, they're typically more worried about pleasing their client than acting as a conduit for another agent's client. There are several ways to request feedback: A day-of or day-after email, a phone call or even a quick conversation via text message. The trouble with those options, however, are many. As real estate professionals know, it's tough to get a hold of fellow agents at an opportune time, and it's also difficult on the listing agent's end to continue to reach out without getting a response. Obviously, using the automated feedback system provided through our local real estate board (and available equally at no additional charge to ALL real estate professionals — even those providing premium marketing services and those limited agency representation - aka a "mere posting") is the most convenient for all parties concerned. What was your overall impression of the home? This is a rather vague question and answers could vary from "good" to a well-thought-out paragraph, but it's good to open by casting a wide net. Did the home meet your expecations from the MLS Listing? If you don't get a "spot on" response, you probably need to review the wording in your MLS listing. Underpromising and overdelivering is just as bad as overpromising and underdelivering. Just think, "mountain view" does not mean the small sliver of view between and over house tops of a single mountain or two that are 150 km away. What did you like most about the home? Your listing could be in an excellent school district with a nice yard, but something else might stick out to one or more buyers. Knowing what buyers and their agents are looking for – and what this listing offers – adds to the features you can highlight. What did you like least about the home? The reason people seek feedback is to improve, so this is an important question. If it's something that can't be changed – detached garage, noisy street – that's still valuable. If it's relatively cheap, fixable and adds value – a fresh coat of paint, new carpet, updated landscaping – encourage the seller to maximize the home's value. How would you compare this home to others you have viewed/shown? Not only does this gauge buyer interest, but it also gives listing agents and sellers a chance to see how their listing stacks up against others on the market. What would help your buyer consider submitting an offer today? This is an aggressive question, but it shows how interested buyers are in the listing and where they are in the home buying process. Maybe they're looking for a quick purchase. Maybe something small is holding them back. That's the great thing about getting feedback: You never know until you ask. This is also where you'll find a good indication about price. If the question is specifically asked, the standard reponse from buyer's agents is: it's too high! Afterall, they are working for the buyer. So don't ask the question and you may get a more factual response. Whichever avenue you choose, once you receive feedback, share it with your seller either automatically or after you review it. As I'll mention later, sometimes sellers need feedback – harsh or otherwise – to fully comprehend how their property stacks up against others on the market. Part of being a good buyer's agent is being an attentive listener. 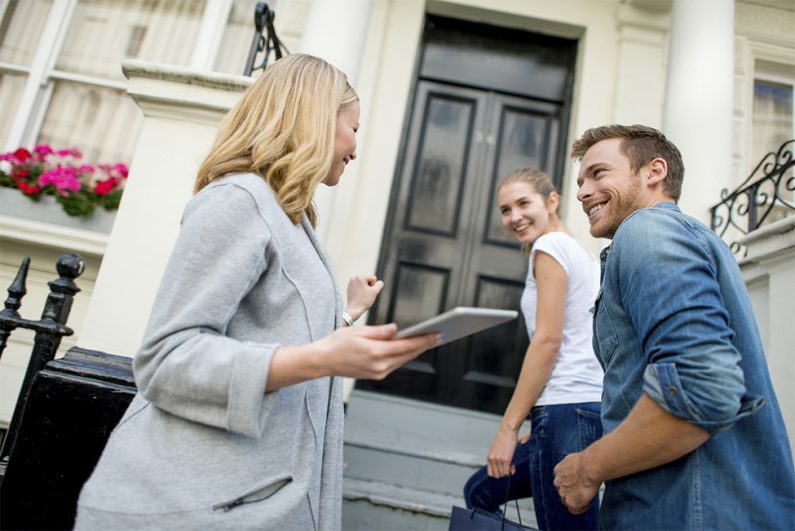 During the initial consultation with your client, or after checking out several of the listings your client sent you that they want to see, you'll quickly pick up on what they view as most important in their future home. Whether it's a big yard, magnificent kitchen or large master bedroom, you likely wouldn't waste your time showing your client listings that don't check those boxes. What was your overall impression of the house? Taking this approach is beneficial on a number of levels. First, it helps you better understand what they're looking for in a home, which will save you time in the future. Second, taking immediate notes helps you better remember the positives and negatives of a house so you can forward your clients' thoughts to the listing agent. Some listing/seller's agents always request – and expect – to receive buyer feedback. Others may not. But it's considered an industry courtesy to respond to such requests. As a prospective buyer, the main goal when looking at several houses is to find your next home, so you’re not really thinking about the process from the sellers' perspective – nor should you. But be open and honest with your agent about what you like or don't like about the home. There's no reason for you to reach out to the seller – nor should they reach out to you – but tell your real estate agent why this is or isn't the house for you. Not only will it help the sellers, but it will also help give your agent get a better idea of what you're looking for. The most important thing for sellers to remember is that you’re selling a house, not your home. Take the feedback you receive to heart and, if it fits into your budget, address potential concerns about an old paint job, numerous preferences to hardwood floors over carpet and less-than-desirable landscaping. In the end, it can help you sell your home. And if you’re not hearing anything? Well, sometimes no feedback could be all the feedback you need.